Feeling Safe Since '82 - Safe-Systems, Inc. When it comes to security for home or business, the level of personal, knowledgeable service can mean the difference between feeling protected and feeling vulnerable. Safe Systems, Inc. is in the business of installing peace of mind. Safe Systems has been operating in Louisville, Colorado since 1982 serving more than 10,000 customers. During our years in operation, we have grown into the largest independent security company in the Front Range area. We have accomplished this milestone by tirelessly providing the highest service levels and products to those we protect. The whole point of any electronic security is to function at the time of need. Providing “smarts and parts,” our staff is trained to install and watch over your equipment beyond the sale. Safe Systems offers round-the-clock security monitoring for homes, schools, and businesses. We are not a faceless organization. We are a locally-owned business employing trained professionals who will be there in the event of a burglary, fire, or other emergencies. When you purchase an alarm system from us, you receive an ongoing solution from certified employees who care. In September of 2015, Illinois-based Alarm Detection Systems, Inc. (ADS) purchased Safe Systems. Alarm Detection Systems has been a family-owned residential and commercial security company in the industry for over 50 years! Safe Systems and ADS share many operating similarities and core values making the merger seamless. 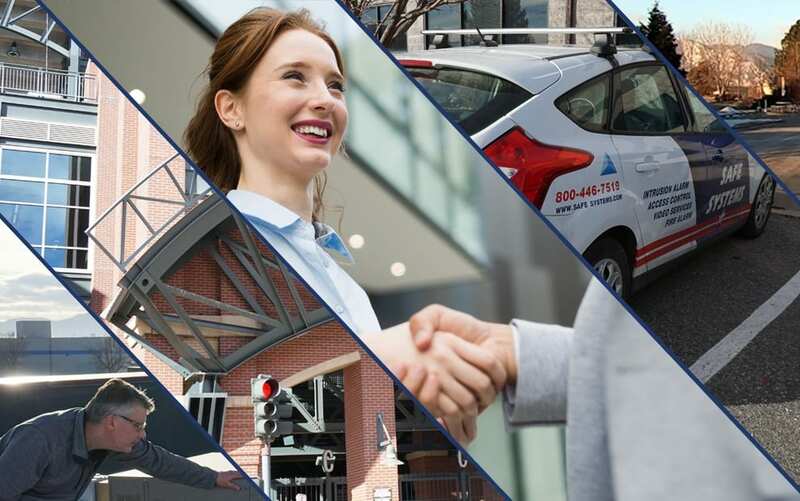 Although we work in two markets, Colorado and Illinois, our combined staff has decades of alarm expertise with each location adopting best practices from the other. When calling Safe Systems, a live person will always be on the other end of the line. We understand nothing is more important than the safety of your family and the protection of your business. With a team of over 90 employees, we have the right people in place to make sure that our operations run smoothly. Employee training and promoting from within is one of our core values. Making sure our employees are utilized to the best of their abilities is a must. We offer 24/7/365 alarm monitoring for camera, card access, fire, and burglar alarm systems. Any concerns our customers have, no matter the day or time, we are ready to assist. Safe Systems is a one-stop shop for all of your security needs. Our certified technicians are here to install, inspect, and service your equipment. Being able to have all services done with one company eliminates multiple vendors and avoids high costs. Additionally, we operate our own UL certified central monitoring station. This center allows our dispatchers to build strong relationships with local authorities and increase familiarity with the areas we service. Be sure when choosing your alarm company, your needs come first. We are ready to help you with any or all of your security requirements. Call 1.800.446.7519 to speak with a Safe Systems Security Consultant.